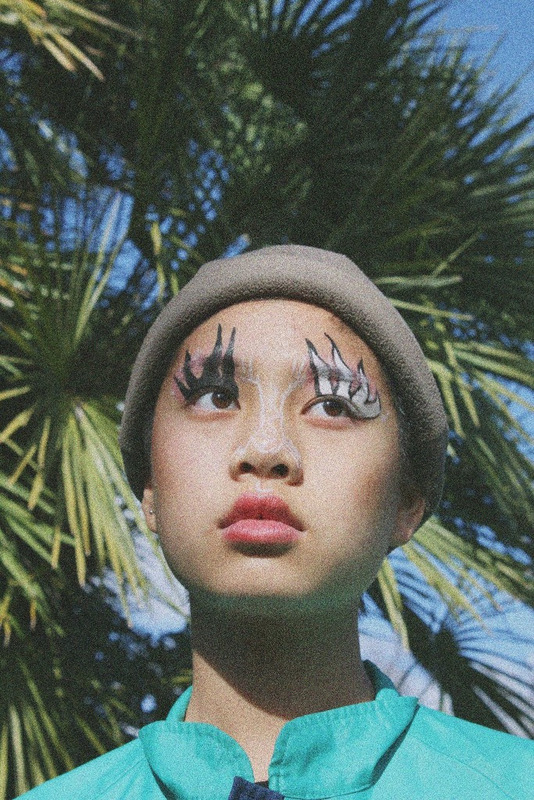 Fledgeling is a new magazine and art collective run by (and for) young women, queer folk, and people of colour. For SOUTH SPACE 18, they are curating a collection of work that inverts the paradigm of contemporary art. In what’s set to be Fledgeling's first exhibition, works by contributors Andy Leaf @andyleaf, Lana Milburn @lunarlana, Jasper Spearing @scuhmbag, Sam Carson @birdk1ng, Catia Cardamone @catiacardamone, and Erika Beiza @eggiika will challenge the mechanics of power and recognition in Melbourne's emerging art scene. By excluding the conventional rulers of the creative world — that is, the old, the white, the masculine, and the non-queer — Fledgeling reconfigures the art scene's typical power structure and provides a neutral platform on which good art can be exhibited. 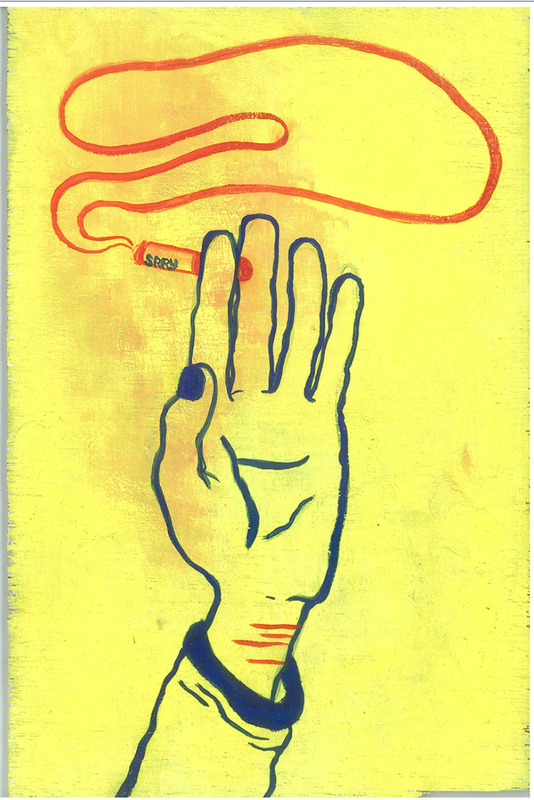 Carly Stone, editor of Fledgeling, says "The art scene is intimidating for young artists. The creative sphere is increasingly hostile to young women, people of colour, and queer folk. Discussions of race, gender, and the adolescent experience are often disregarded as controversial or cliché". "In a creative climate dominated by the white male artist, the shifting locus of the “cool” and the “profound” constantly eludes the grasp of women, queer folk, and people of colour. Young creators often find themselves at an impasse between conceding to the norm and pursuing the anti-conformist impulse". "To go from being a fledgeling artist to an "accomplished" one — that is, to go from "having a hobby" to being celebrated and paid for your work — you have to pass through countless barriers of bias and condescension. This makes it difficult for young artists to get recognition. It's even more difficult for artists in minorities". "I want Fledgeling to be a platform for emerging creators to create, collaborate, and showcase their work. It's for young people who don't have any interest in sticking to a certain popular aesthetic. It's also for readers who want an insight into the emerging creative scene and the future of the art world". 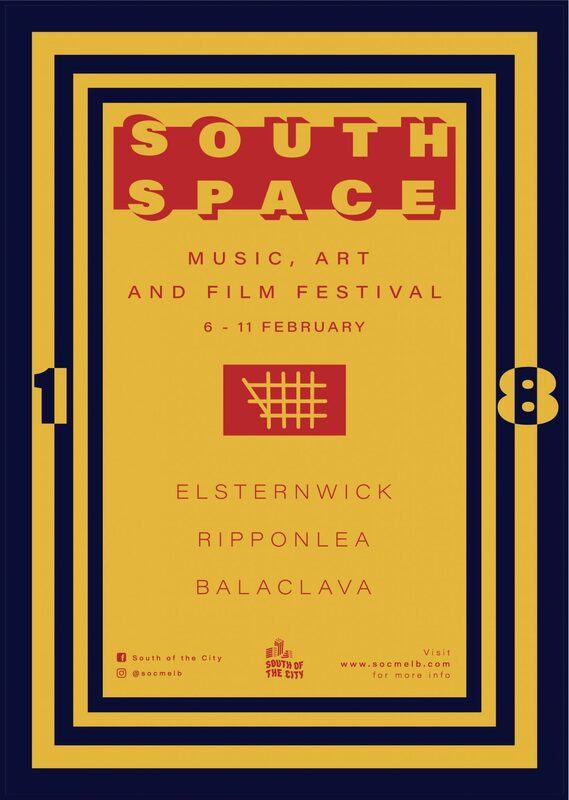 The opening night will be held as part of South Space 18 on Feb 8th from 7.30pm at Toddy in Elsternwick. 480A Glenhuntly Rd Elsternwick. Hotel Fifteen Love (solo) will be performing live at the opening from 8:30pm. The art that Anna has been producing in her Elsternwick studio for the last twenty years has found its way into countless homes, businesses and stores throughout the local area and abroad. For South Space 18, Anna Blatman is opening up her studio for an night of moseying, painting and wine tasting. Blatman has started a collaborative artwork that will be finished on the night of the Open Studio by people who walk through the door. This is your opportunity to contribute to Anna Blatman's next work - make your mark! Janet Fieldhouse is a rare conceptual ceramicist. This new body of work interrogates what it means to be a Torres Strait Islander woman living in a global community, working with materials that were not inherently indigenous to her people – utilised not for their functional properties, but storytelling capabilities. The narrative is revealed through the name of the work, sometimes based on traditional objects (fish hook, marriage pendant, breastplate or previously scarification and tattooing of the body), whilst others explore the cerebral. Sitting on the fault lines between Balaclava and Saint Kilda, Vivien Anderson Gallery has been in continuous operation since 1992. It is the only contemporary art gallery in Melbourne's south that represents and exhibits the work of Aboriginal and Torres Strait Island artists. This exhibition reflects the diverse collecting themes that have shaped Glen Eira City Council’s art collection since 1975. It includes suburban themes that reflect resident’s lifestyles; the work of significant Australian artists; works by members of the Boyd family who lived and worked in Murrumbeena; and works of quality by local artists. Curated by Diane Soumilas, this exhibition features new acquisitions, including a major painting by Eleanor Hart recently donated to Council’s art collection by the artist and photographs of local domestic interiors by Linda Wachtel commissioned by Council in 2017. Works by Fred Williams, Arthur Boyd, Brett Whiteley, Howard Arkley, George Johnston, Ponch Hawkes, Wolfgang Sievers, Erica McGilchrist and Jane Burton are also included in the exhibition. Free entry at the Glen Eira City Gallery. The gallery is open Monday to Friday, 10am–5pm and weekends, 1pm–5pm. Dispersion of people from their homeland and separation from their cultural connections brings a rich narrative that takes into account the journey and the experience of the migrant. This exhibition comprises the practical component of Varuni Kanagasundaram’s PhD research at the School of Art, RMIT University. The ceramic installation captures the convergence of cultural traditions of women from the Indian subcontinent, and the landscape of those that inhabit boundaries of traditions as markings of textile and vivid pigments in clay. Free entry at the Glen Eira City Gallery. The gallery is open Monday to Friday, 10am–5pm and weekends, 1pm–5pm. Keep up to date with everything going down at South Side 18 over on their website and socials.